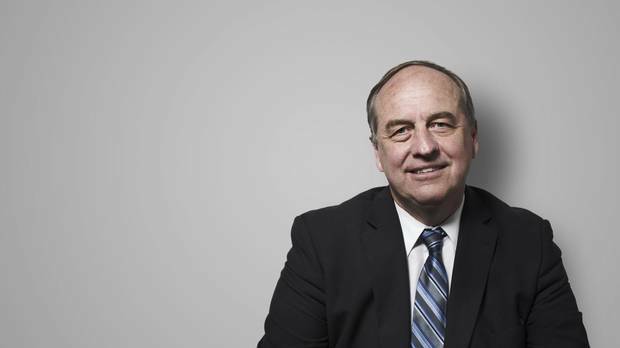 British Columbia BC Green leader Andrew Weaver is the most sought-after man in Victoria – but, who exactly is he? Andrew Weaver is the most sought-after man in Victoria after his party made an electoral breakthrough in the inconclusive B.C. election. The province will be heavily influenced by him in the coming months, no matter which party his Greens decide to support. But, who exactly is he? Andrew Weaver's office in the B.C. legislature is a testament to the lowly status of a lone MLA in a House dominated by two political parties. The basement suite he has occupied for the past four years could not be further from the centre of power. A maze of long corridors and heavy, locked doors separates him from the Premier's wing. While occupants of the upstairs of the legislature enjoy high ceilings, marble, oak and stained glass, the basement is largely given over to research staff, utility rooms and a jail cell that hasn't been occupied in more than a hundred years. Now, after the inconclusive result from British Columbia's May 9 election, Mr. Weaver is the most sought-after person in the province's capital, and the path to his distant corner of the building will be well-travelled. The BC Green Party made a historic breakthrough when it secured three of the 87 seats in the legislature. Although the outcome of the election won't be clear until a final count of the ballots on May 24, the next government of B.C. is almost certainly going to be shaped by what Mr. Weaver and his fellow Green MLAs want. Elizabeth May made history when she became the first elected Green in the country, but expansion federally has eluded her. Now, simply because the two main parties in B.C. politics stand at a near dead heat, the Greens stand to wield considerable clout: "If it remains a minority parliament, he is going to have a lot of influence on a lot of issues," Ms. May notes. After an intensely negative campaign, both BC Liberal Premier Christy Clark and NDP Leader John Horgan have reached out to Mr. Weaver, who expects to spend the coming week exchanging offers and bargaining with both parties before he decides which side will earn the coveted Green support. To calculate what Mr. Weaver's bottom line is, his would-be dance partners need to understand who he is. Before his political career, he was Dr. Weaver, an acclaimed climate scientist at the University of Victoria, and a member of an international team that won a Nobel prize in 2007. He gave up the scholarly life in 2013 to run as a BC Green Party candidate for a Victoria-area seat, Oak Bay-Gordon Head. That year, he became the province's first Green MLA. Weaver speaks to supporters at his party headquarters on election night in Victoria. David Suzuki – one of Canada's most prominent environmentalists – endorsed the Greens in this year's election and campaigned at Mr. Weaver's side. The Greens benefited from perfect timing, as voters reluctantly weighed their traditional choices in a largely two-party system, and then saw an alternative. "The reality is there are a lot of people who just can't stand Christy and wanted to get rid of her," Mr. Suzuki said. For his part, Mr. Suzuki hasn't forgiven the NDP for opposing the carbon tax in an earlier campaign. The burly, outspoken Mr. Weaver was a notable political performer as a solo act in the legislature, tabling 19 private member's bills in the past session of the legislature. But now he needs to work with and lead a small caucus, and they will face intense pressure to meet voters big expectations as they pick through the opportunities for influence. Mr. Suzuki said the test will be whether Mr. Weaver is up to the challenges in this new high-stakes setting. "As an academic, he's terrific, but political waters? There's just sharks everywhere." But Mr. Weaver is used to swimming in challenging waters. Mr. Weaver says he had no choice but to enter politics. He helped former B.C. premier Gordon Campbell bring in such policies as the milestone carbon tax, and felt some of those policies were being dismantled by Mr. Campbell's successor, Ms. Clark. "I couldn't stand by and watch all of these policies be torn apart one by one – and they were," Mr. Weaver said in an interview. In a way, academia prepared him for the abrasiveness of political life. Weaver speaks to media in the rose garden on the Legislature grounds in Victoria, on Wednesday, May 10, 2017. At the University of Victoria, Mr. Weaver was director of the school's Climate Modelling Group, which did research into climate change using computer models and observations. In 2007, he was a member of the Intergovernmental Panel on Climate Change that jointly won the Nobel Peace Prize with former U.S vice-president Al Gore for, as the accompanying announcement said, "their efforts to build up and disseminate greater knowledge about man-made climate change and to lay the foundation for measures that are needed to counteract such change." It also launched him, unknowingly, onto the "front lines of a very ugly battle" between the scientific community and climate-change deniers and opponents of a transition to a low-carbon economy. The vitriol streamed in at such a steady pace that his colleagues at UVic playfully began pasting them to a "Wall of Hate" that eventually overtook a whole corridor. The backlash made the venom he saw directed at Green Party supporters in this past election campaign seem like "child's play," he said this week. His leap from academia to politics was no surprise to his former colleagues. "His interests had been becoming increasingly political," says Stan Dosso, professor and director of the School of Earth and Ocean Sciences at the University of Victoria. "He wanted to take his views to a different constituency, not just the science, but to bring this to bear in policy and society. We saw that coming." John Weaver, the gentle and genuine 84-year-old former dean of science at UVic and an acclaimed physicist, says he has seen his eldest son first embrace his father's passion for learning and later, through his entry into politics, his mother's more outspoken and gregarious nature. Weaver is joined by elected party members Adam Olsen and Sonia Furstenau to speak to media after the election. "I'm totally amazed that he's gone into politics and actually seems to enjoys it," the elder Mr. Weaver says from a modest living room with partial views of the nearby Salish Sea. "I thought he'd go in and be fed up after one term, but I've been proven wrong – he loves it, it seems." Still decked out in a Green Party T-shirt, Ludmilla Weaver, Andrew's mother, says throughout her relentless door-knocking during the campaign that people told her they were attracted to Mr. Weaver's unabashed call for a less cynical form of politics. "I can't bear Christy Clark – that phony smile," she says. "Whereas, Andrew, if he smiles, it's genuine." Mr. Weaver says he is "just that regular guy" who balances work with a passion for sports. As a student at Oak Bay High School, Mr. Weaver captained the chess team while playing rugby, a sport that caused one of the three fractures that define his nose. The first break came while skiing and the third, more recently, when he walked into a pane of glass as he was texting, which he now refers to as an important "teachable moment." After graduating at UVic, Mr. Weaver accepted a scholarship to Cambridge, where he earned a master's in mathematics and was poised to begin a PhD there when he blew out his knee playing rugby. Faced with a nine-month wait for treatment in the British system, he returned to Victoria and soon fell in love with the rugged coastline and a young woman named Helen, with whom he has raised two children. "I wanted to be back, grounded in who I am, which was a West Coast boy – I just felt I didn't want to be in England for another four years in an elitist position," he said. Weaver, centre, is flanked by BC Liberal Leader Christy Clark and B.C. NDP leader John Horgan at an election campaign debate on April 26, 2017. After returning to UVic to join its new School of Earth and Ocean Sciences, Mr. Weaver later honed his skills of diplomacy as president of the faculty association, leading contract talks in two separate rounds of collective bargaining. That experience, he says, will help him through these next few weeks of negotiations about the Greens' new place in the legislature. Mr. Weaver became British Columbia's first Green MLA four years ago in a riding that overlaps the seat of federal party Leader Ms. May, Canada's only Green MP. His political heroes are Joe Clark, Stéphane Dion and Ms. May, and he says his party eschews a political ideology in favour of cherry-picking the best evidence-based policies from other parties. "What we believe is we have to be fiscally prudent – so you could call that Red Tory on a financial aspect – we're socially progressive, that's the liberal aspect, but we also believe in environmental sustainability, which is the Green aspect." With that, Mr. Weaver has foreshadowed how he could work with either party in the next legislature of British Columbia. But where his support goes will hinge in part on what happens in the next couple of weeks. On the preliminary count, the Liberals hold 43 seats, the NDP 41. There are almost 180,000 absentee votes that have yet to be counted, and in ridings where the results are close, there will be recounts. No matter what the final numbers are, Mr. Weaver is expecting a pivotal role in what is likely to be a very delicately balanced legislature. He has spoken with both leaders – on election night and more extensively the day after – in what all sides describe as "very cordial," opening discussions. "There will be some horse-trading with both parties, we plan to start that on Monday," Mr. Weaver said in an interview, stepping out from a meeting with his new caucus where the three Greens are drafting a list of priorities that will be on the table. Talks will be stickhandled by Mr. Weaver's new chief of staff, Liz Lilly, who worked in the BC Liberal government on climate policy. Green party supporters watch as results come in from election night. Pending recounts, Ms. Clark remains Premier and she has, from the moment she stepped on stage on election night, indicated that nothing in the Liberal platform is cast in stone: "We have been presented with an opportunity by British Columbians to open a whole new dialogue," she told her supporters on Tuesday night, "about how we do things, what we should do, how we want to shape the future of our province." Barring a dramatic shift in the final counts, she'll need Mr. Weaver's support to hold on to power. "Whatever the outcome is, whether it is a minority or a majority, I do intend to work across party lines with parties that want to work with us," she told reporters this week. "I've had a good relationship working with Dr. Weaver in the past – he's a smart, thoughtful, reasonable guy." But if the final seat counts remain close, there are many reasons why a Green-NDP alliance would make sense. The Liberals' approach to climate action, oil pipelines and liquefied natural gas are all anathema to Mr. Weaver, the climate-change scientist. Mr. Weaver said, on Friday, that his party's "deal breaker" demands are for campaign finance reform, proportional representation and official party status for the Greens even though the party falls short of the four MLAs required for that designation. Official party status includes an office budget, the chance to ask more questions in Question Period and an elevated salary for the leader. The bigger obstacle to a Liberal-Green alliance is that the core value of the Greens demands a transition to a low-carbon economy. Mr. Weaver has accused the Liberal government of taking the province backward on climate action. Ms. Clark, as she goes back through her platform looking for what would have to change in order to bring Mr. Weaver to her side, will have to reconsider her promise to continue a freeze on B.C. 's carbon tax. She'll also have to rethink her efforts to develop a liquefied natural gas industry that will see a massive increase in greenhouse-gas emissions. And, she has pledged to support the Kinder Morgan pipeline expansion and to build the Site C dam – both megaprojects that the Greens oppose. The NDP are – in the most cordial, collegial way – advising the Greens that the voters who gave them this breakthrough do not want the status quo of another four years of Liberal government. Through their point man Bob Dewar, Mr. Horgan's chief of staff, the New Democrats are underlining all the common points where the two parties' platforms intersect: electoral reform, raising the carbon tax, an immediate ban on union and corporate donations. Mr. Weaver says he is prepared to hear any and all offers. "We don't want to take anything off the table. The question of coalition or minority, those are both on the table. Our plan is to try to advance good public policy in the best way possible." Editor’s note: An earlier version of this article included an incorrect title for the Intergovernmental Panel on Climate Change. This version has been corrected.